Product prices and availability are accurate as of 2019-04-12 05:52:59 EDT and are subject to change. Any price and availability information displayed on http://www.amazon.com/ at the time of purchase will apply to the purchase of this product. 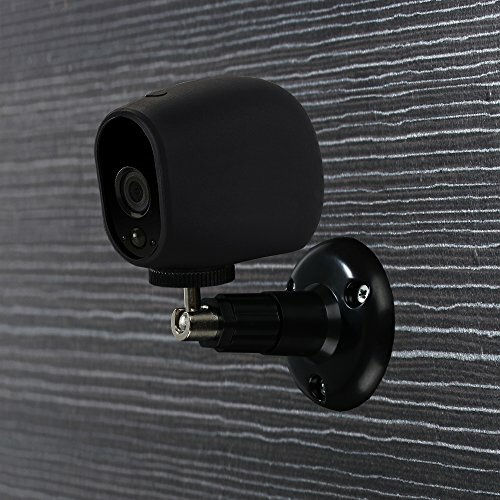 Not only an Arlo Mount, but also a Standard Size Mount for other same interface compatible models camera systems. Made of high quality materials, more stable, oxidation resistance. 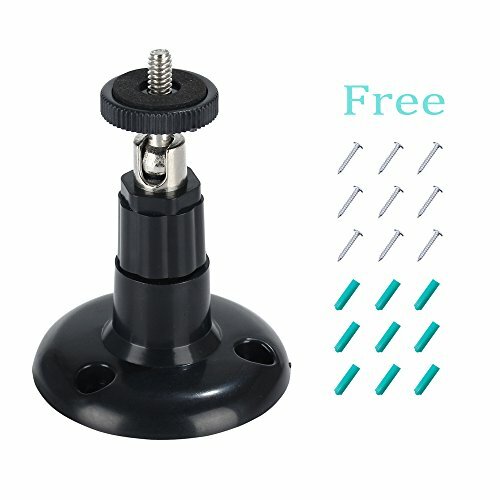 360 degree swivel & 90 degree tilt. 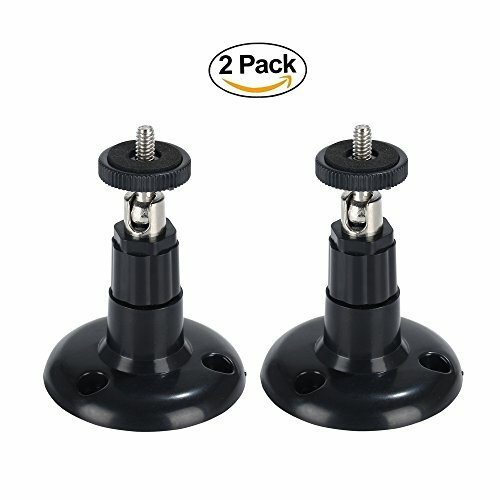 Package includes screws and wall plugs, simple to install. FastSnail Tech products have been well tested before delivery, but we cannot 100% guarantee the items when shipping to you. Any problem please feel free to contact us through Amazon Email System and we will do our best to serve you. 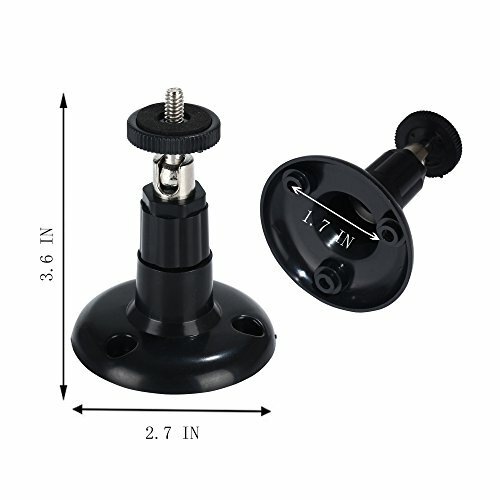 UNIVERSAL CAMERA MOUNTING BRACKET - This indoor/ outdoor mounting bracket is standard size, not only use for Arlo Smart Home Security Camera System, but also use for other same interface compatible models camera systems, such as AngelCare Baby Monitor, CCTV Camera, Video Security Camera, Camera ML-500 etc. OXIDATION RESISTANT AND DURABLE - Made of sturdy metal and ABS plastic material, oxidation resistance, can be applied indoor or outdoor. 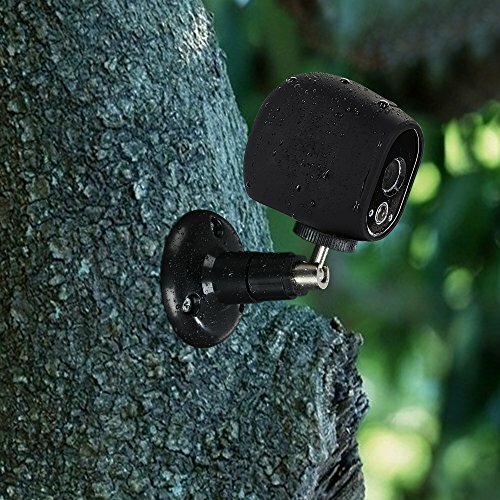 MORE STABLE AND SECURITY - With a big base (Diameter is 6.9cm), this security camera stand is stable and strong enough to hold the security camera, Can prevent it from falling. MULTI ANGLE - Easily adjustable with 360 degree swivel & 90 degree tilt. 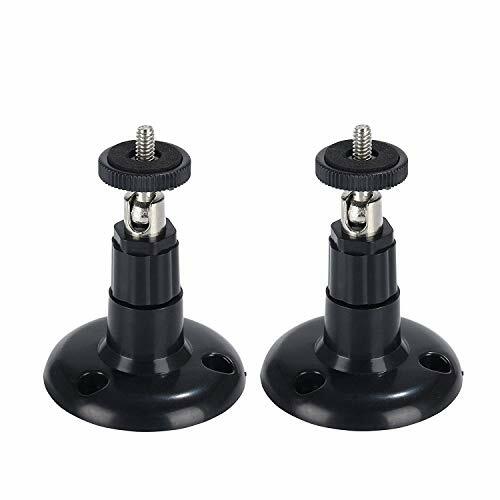 ECONOMICAL - 2 Indoor/Outdoor Wall or Ceiling Mounts bracket in one pack, with a nice price. More economical.